Cyprus Culture is borne from the many people who have walked through it's land. Venetian, Phoenecian, Turkish, Greek, Ottoman, British and others have left an indelible mark on what Cyprus is and who the Cypriot people are. Food, music, dancing, lifestyle and religion all show this colourful train of nationalities down the centuries. Hospitality in Cyprus is legendary, although you will find less of it, where the population is much younger or of a different nationality. Chances are if you visit the old villages you will still be invited into someone's home for coffee and a chat and if you are lucky they may even invite you in for lunch, if you visit particularly at the weekends. You will still find the local men sitting in the coffee shop, having a game of tavli (backgammon) or just chatting to their friends an putting the worlds to rights, and talking politics or some such topic. Women are not encouraged into to this world, but if you are a visitor, they will be polite and acknowledge you and probably ask you to sit down and have a drink. Conversely in the city, life is much more urban with trendy cafes and bars and the young people meet their friends here, they don't want to spend time like their parents and grandparents. They want progress in their life, a good career, money in their pocket, a smart flat and all the trappings of success. Despite this urbanity, Cypriots do still like to follow a lot of their tradition such as name days, which is like a birthday for your name. If you are called Stephanos, and it is St Stephanos day, your have gifts from your family and friends in celebration of your name and the saint. The whole village will be invited and you will soon make friends and learn about life in Cyprus. Cypriot Cuisine is a massive part of the Cyprus lifestyle. Everywhere you go, you will smell souvla, the local bbq style food, pieces of meat on a skewer or spit roasted, and see the men drinking the local Keo beer to wash it down. Food and socialising is a favourite pastime in Cyprus. And your visit to Cyprus is not complete without one good meze, either fish or meat or a mix of both. Cyprus is primarily made up of greek and turkish cypriots. The greeks are descendants of the early settlers and the turkish are descendants of Ottoman settlers from the Ottoman conquest of the island in the 16th century. A large number of cypriots left the island after the 1974 Cyprus Invasion Most cypriots in the Republic speak english and a large number of road signes are in Greek and English but if you venture north, this is not the case outside of the more touristy areas so you might need a crash course in Turkish! On both sides, spellings of places vary, you see Limassol and Lemesos, Nicosia and Lefkosia and so on. Cyprus has become more cosmopolitan over the years, and especially since joining the europe union(southern Cyprus) in 2004. Tourism employs a large amount of people, and many of them are now immigrants which would explain some of the decline in hospitality in certain areas. The culture of it is not the same with other members of the european union. There has also been over the years, a large influx of Russians, especially to Limassol and Paphos and they have brought in a lot of "new money" and helped with the local economy by buying large houses and cars. The Greek Orthodox Church is the predominant religion in Cyprus culture. Approx 78% of the population follow it, about 18% are muslim and the rest are Maronite. The muslims live mainly on the north side of the island, the maronites have been centred traditionally in Nicosia, and the north and a few other small non-orthodox Christian communities are to be found on both sides of the border. If you find yourself at a greek church service you will find that it can be quite long, quite conservative and traditional and don't be suprised if you see people wandering in and out of the church and little conversations going on with people. It is quite common. Cyprus has produced some decent musicians who made successful careers in Greece, many of the Greek Cypriots follow mainland Greece in their musical tastes. The instrument called a bouzouki,(the one in the photograph) is heard absolutely everywhere in Cyprus and you cannot get a greater sense of Cyprus culture that the dulcet tones of this instrument. There is also a middle eastern flavour to the sounds of the traditional music both in the south and the north. This is one of those areas of Cyprus culture where you can hear the sound of the past visitors from the Moors and the Ottoman empire. In the north the inhabitants tend to follow the musical influences from mainland Turkey but both cultures share a similar sound in their traditional music. Dance as part of Cyprus culture is as old as time itself. Allegedly part of early religious worship which is feasible as many other religions have dance as part of the worship process. Homer himself refers to Cypriot dancing in his works and you will see the sirtos dance depicted on may greek pottery items. Many of the dances are completed in a circular way, going round and round in order to keep out bad spirits and ward off evil. Cypriot dancing is conventionally couples facing each other or men dancing often with an object in their hand such as a sickle or a glass. Many tourist venues will have a performer dancing (the datsia) with many glasses on his head and this is very popular, as is another type of dance where a rolled up newspaper is simulating a tail and the diners are asked to try and light it while the deft and nible dancer manouevers his way out of the situation. There are many dances only done by cypriots on the island (and not in Greece) on high days and holidays, as part of cyprus culture and if you go to a wedding you will see some wonderful local and traditional dancing, by both men and women, solo and together as a group. Cyprus culture prides itself on it's well developed folk art traditions, lace and basketware and intricate silver filigree are among the items produced locally. If you want to buy local items, The Cyprus Handicraft Service in the Republic have been fantastic at promoting locally made items to visitors for years. Without them, the preservation of these traditional crafts in Cyprus culture would long since have disappeared. There is a shop in every town, and you can buy, distinct and authentic handicrafts as a souvenir of your visit to the island. Originally used for storing water, olive oil and wine, the huge pitharia can be seen as still part of the cyprus landscape these days, even if only for growing plants outside village houses. They are so big it is really hard to move them! Pottery is a huge part of Cyprus culture. You can find brightly coloured and decorated pots and vases or the traditional terracotta versions, as found all over the mediterranean. The most famous area for pottery in Cyprus is Kornos Village between Limassol and Larnaka and it is still a very active pottery area. You will of course find local pottery making in Paphos and Limassol as well, but Kornos is the heart of the pottery making community in Cyprus. 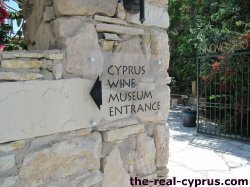 Want To Learn More About Cyprus Culture? Androulas Kitchen by Sonia Demetriou A blog, book and calendar loving created and written by a lady who has shared much of her family background and love for Cyprus. Her book is centered around her cousin Androula who runs a lovely bed and breakfast in the village of Tries Elies in the Troodos mountains. I am sure you will enjoy following her.